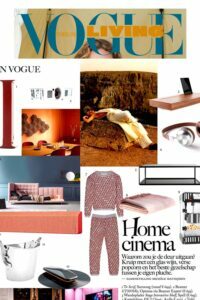 As seen in Vogue Home Living, Netherlands the Elsa merino cashmere set. No need to go out when staying at home is this glamorous. Cosy copper notes and sumptuous knits give a warming note to cold winter nights. Made in Britain and knitted in the finest Merino Cashmere, a wonderful blend which includes the softness and gentleness that cashmere gives against your skin, with the characteristics of merino wool. Indulge in my exclusive two piece Elsa sets with matching scarves in contrasting geometrics. These deluxe styles can be worn together, as well as pairing them down for that day to night look with its deep hues of lurex jacquards. PreviousPrevious post:GS Christmas Gift GuideNextNext post:A Personalised Christmas gift…..